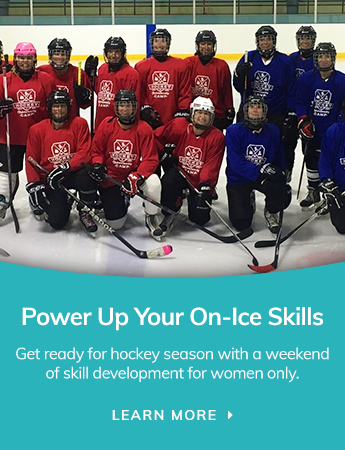 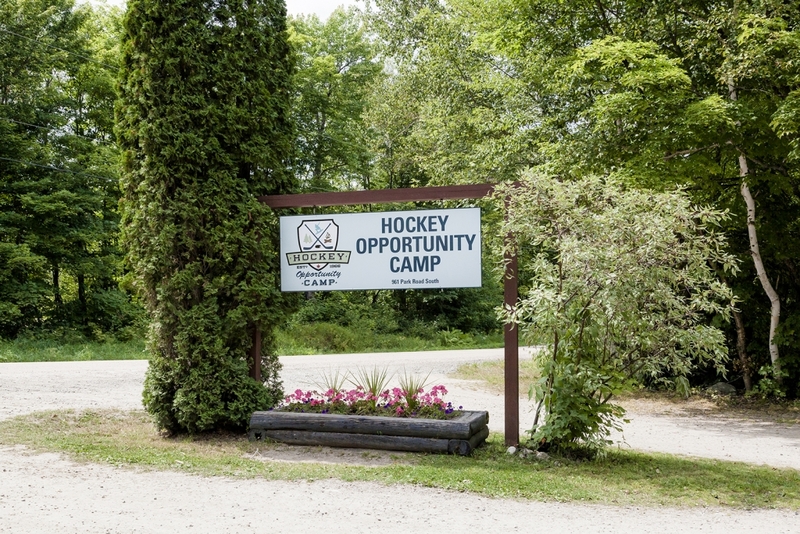 Sport + Spirit retreats take place at a 'real' camp – on the grounds of Hockey Opportunity Camp – the ideal location for a fall weekend getaway. 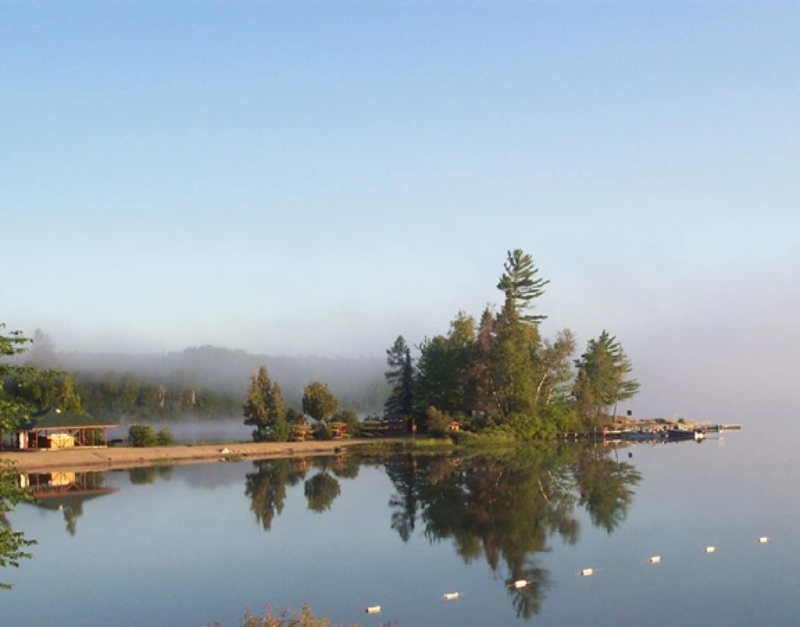 Just a few short hours from Toronto, the Almaguin Highlands is a perfect location to escape the city and truly experience a Northern Ontario experience. 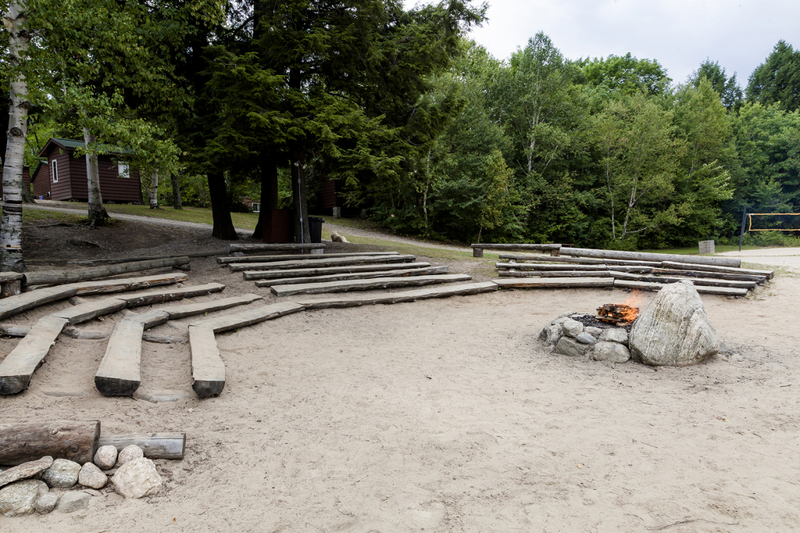 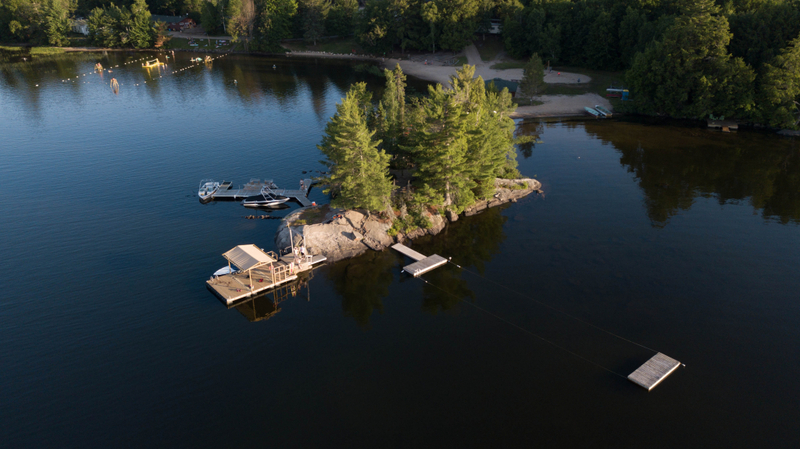 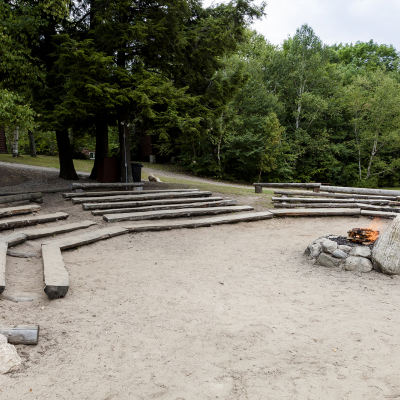 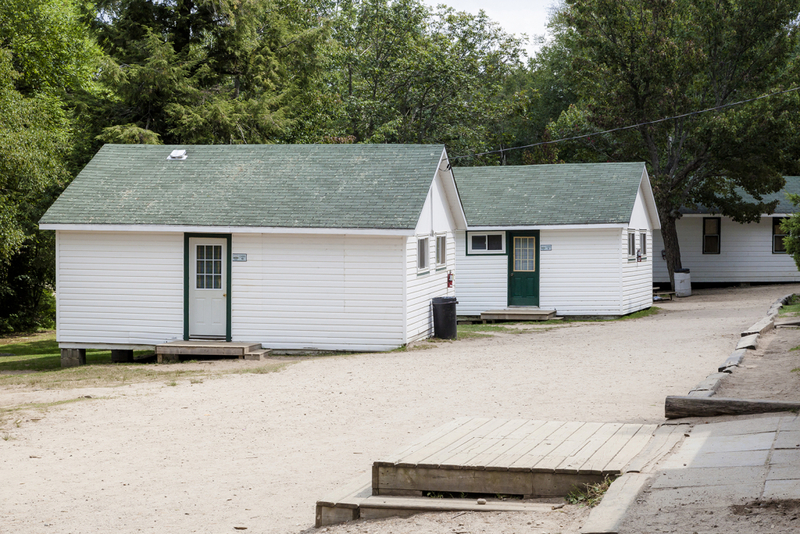 Our camp has it all – rugged trails winding through the forest, clean and pristine waterfront, traditional and comfortable cabins and an outdoor playground of activities. 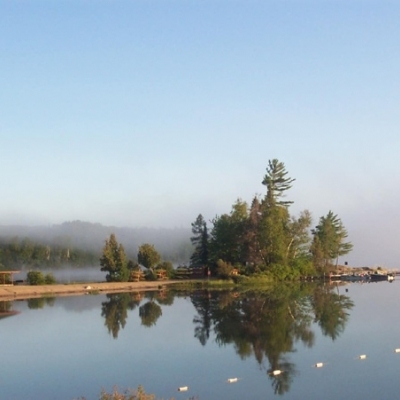 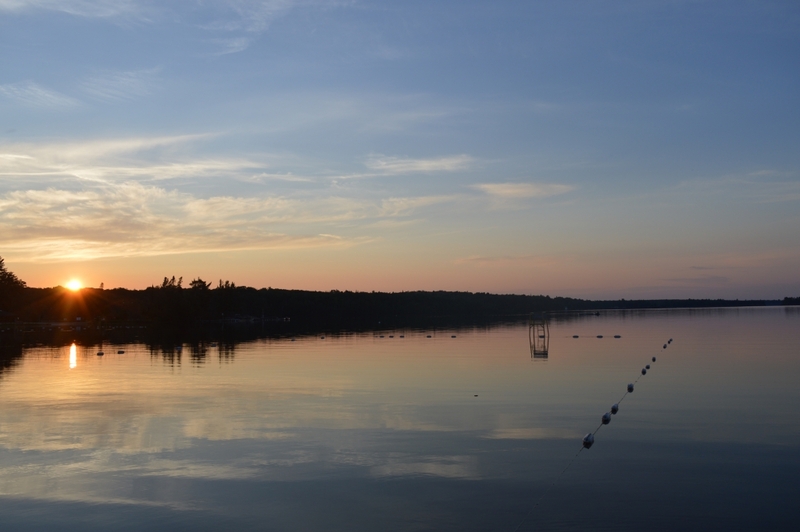 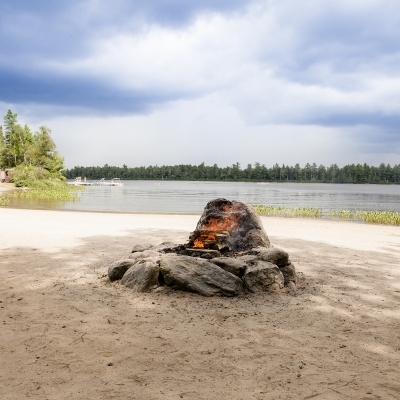 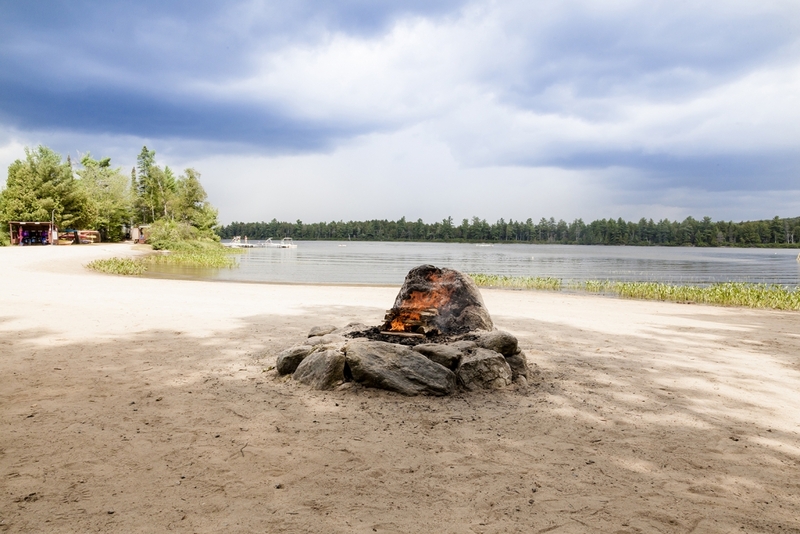 One of the most prominent features of our camp is the waterfront peninsula. 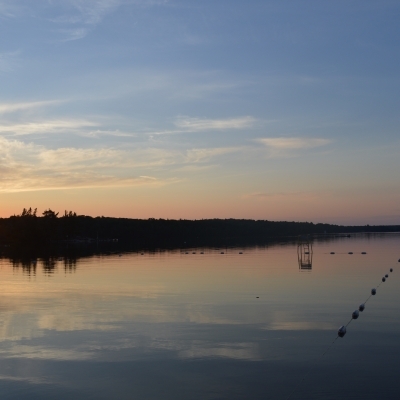 The bay is a natural waterfront shelter, where you can swim, water ski, kayak, play beach volleyball or hangout. 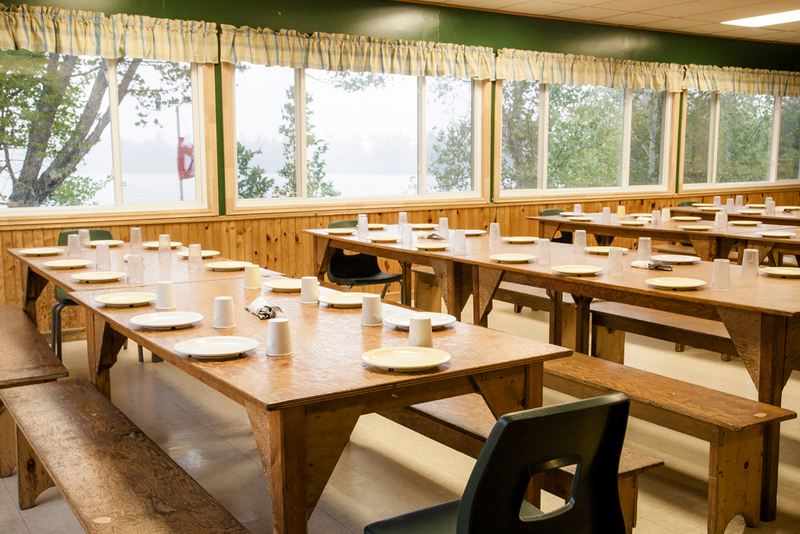 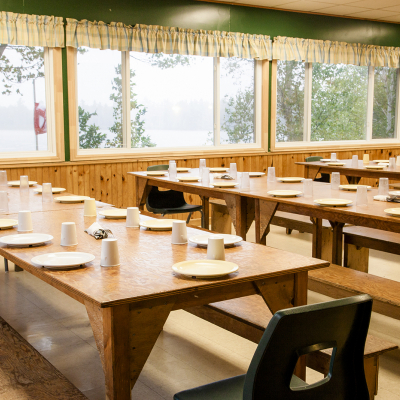 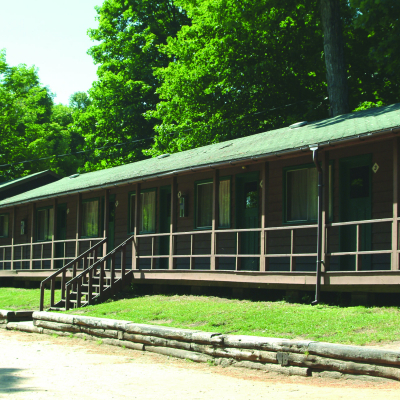 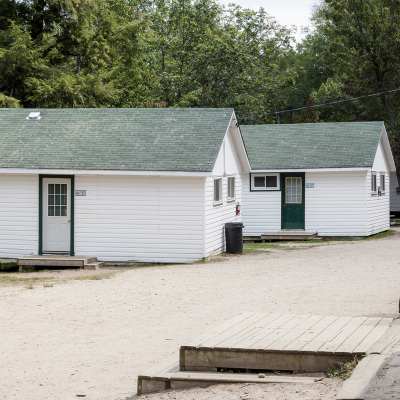 Our camp buildings offer traditional bunking cabins, a large dining hall and recreation centre. 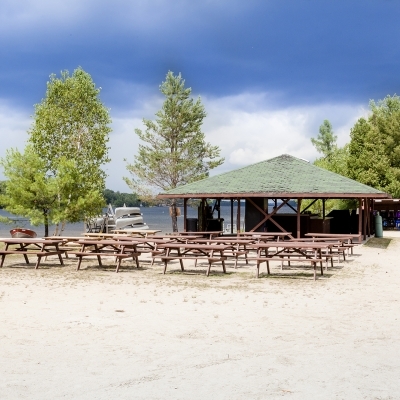 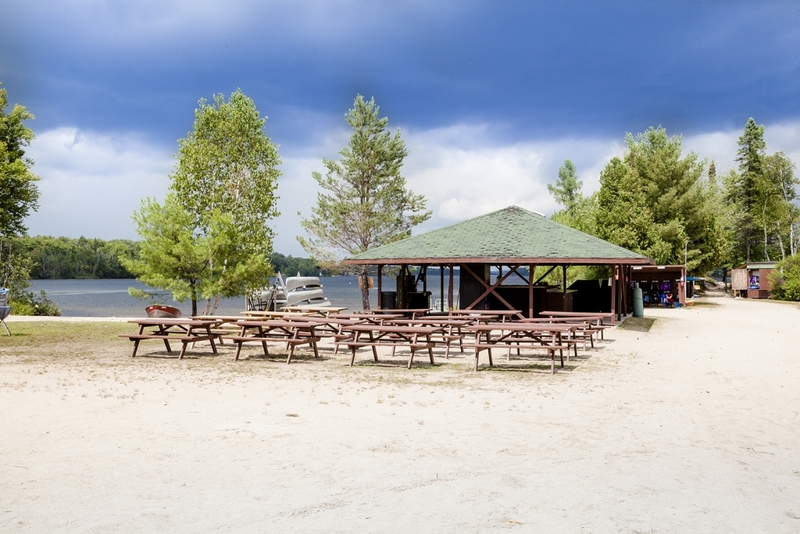 And down at the beach, the large covered pavilion with picnic tables is the perfect spot for outdoor barbecues. 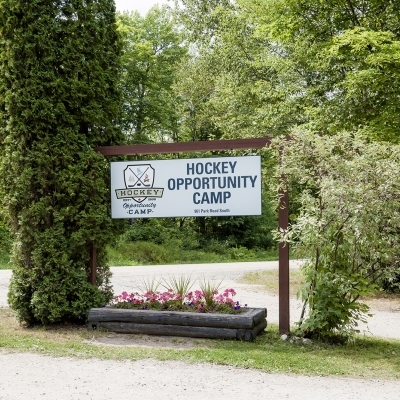 Hockey Opportunity Camp is located near Sundridge & South River off Hwy 11. 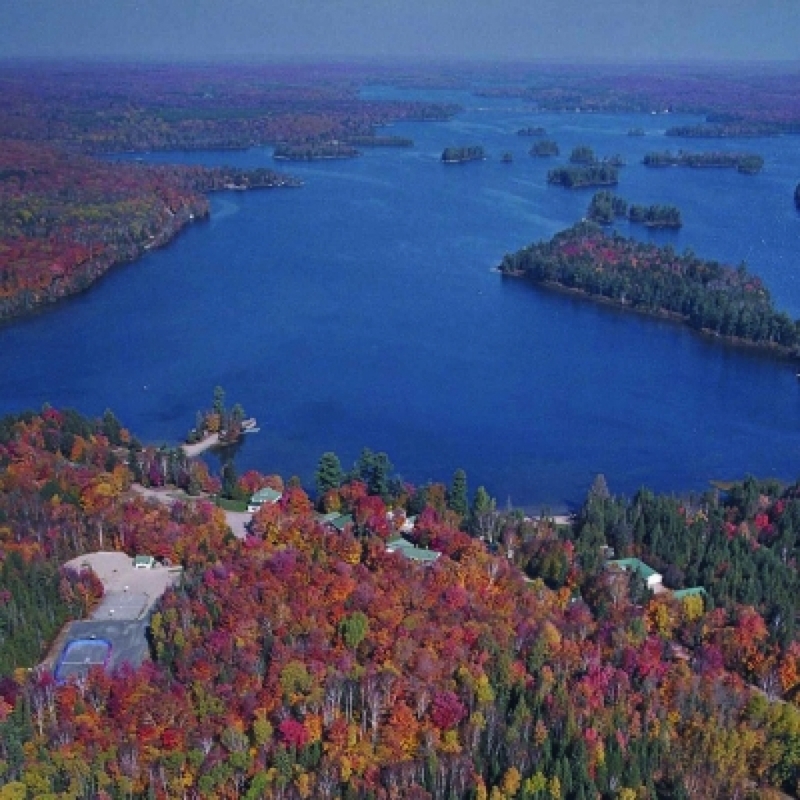 IMPORTANT: Some GPS units do not show the new 4-Lane Hwy 11 and therefore may be misleading. 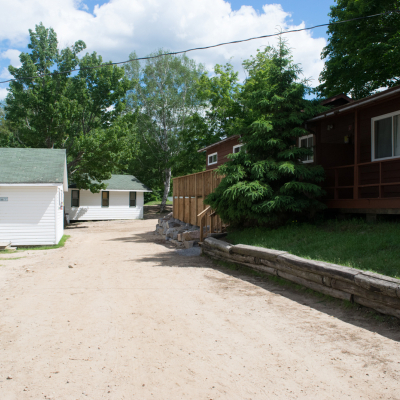 NOTE: Due to ongoing Municipal road maintenance, there is a stretch of M/S Boundary Rd that is covered with loose gravel. 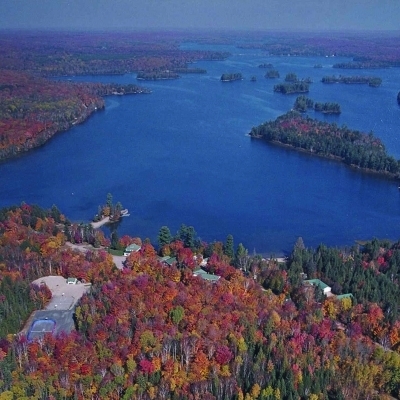 Please take caution while driving through this area. 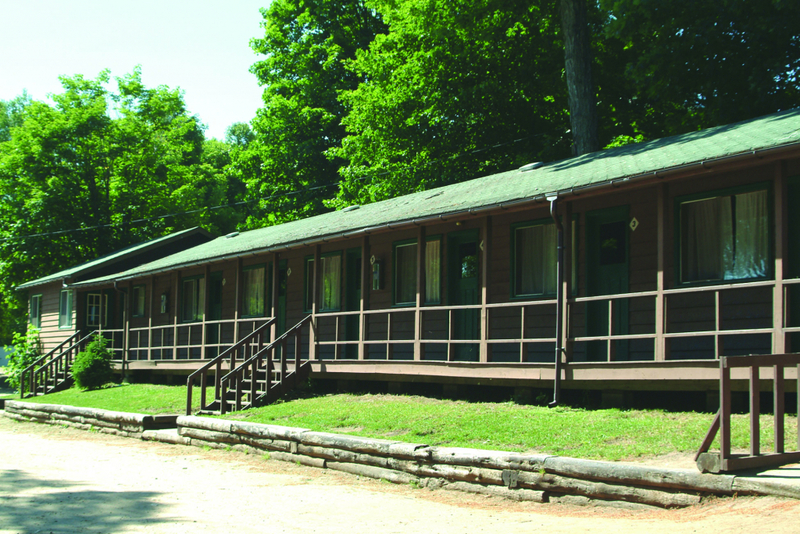 The camp is a mere 12 minute drive off the 4 lane highway. 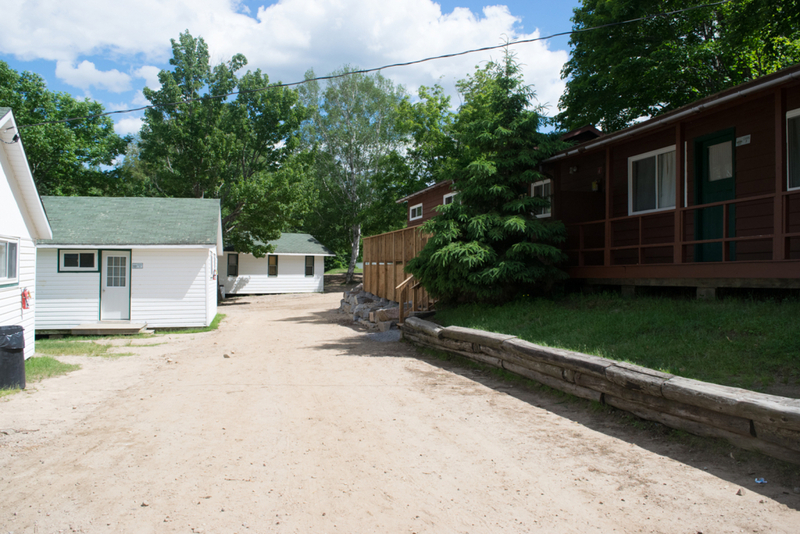 Turn left onto M/S Boundary Rd. 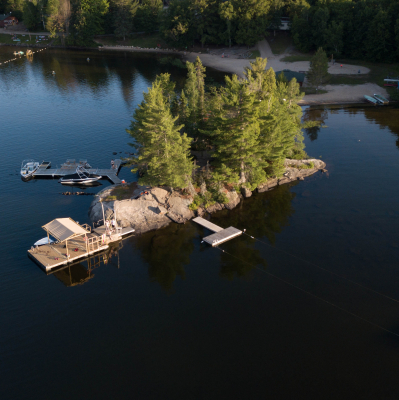 Turn right on to M/S Boundary Rd.